You just can’t get enough bacon. For some it’s a passion, maybe even an obsession! 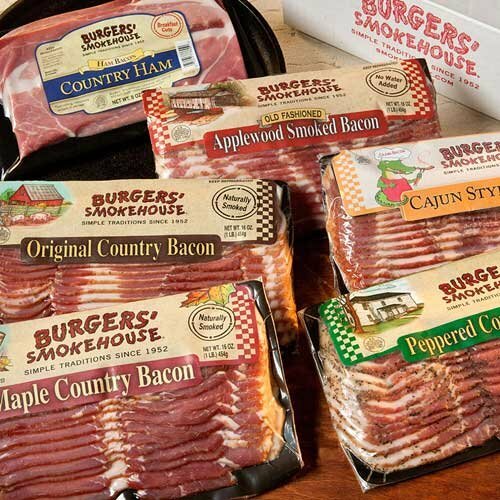 We have the nation’s highest quality, hand crafted artisanal bacons. Each one is carefully crafted using simple ingredients, decades old processes, and the watchful caring eye of our Smokemaster. 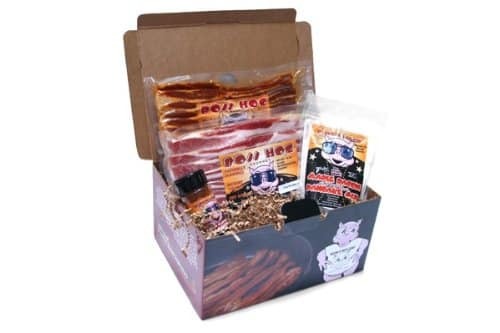 Each is unique and each will make you feel like a Bacon Connoisseur. 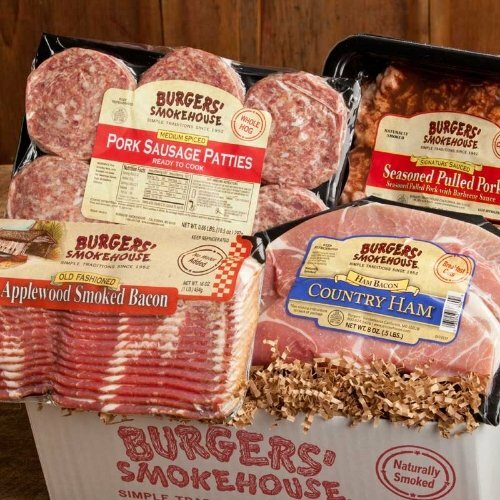 Sampler includes: One 1 lb. pkg. Original Country Bacon, One 1 lb. pkg. Maple Country Bacon, One 1 lb. pkg. Cajun Style Country Bacon, One 1 lb. pkg. Applewood Smoked Country Bacon, One 1 lb. pkg. Pepper Coated Country Bacon and One 8 oz. pkg. Country Ham Bacon.